Who eats what on the reef? Find out here. The ecosystem of the Great Barrier Reef is a delicate and fragile balance, with a food chain that has multiple levels in which every part is reliant on everything else. From the largest apex predators such as the White-tipped Reef Shark all the way down to microscopic organisms called Phytoplankton, no one marine creature could exist without another, and this is reflected in that if one life form becomes endangered, the rest of the reef suffers. 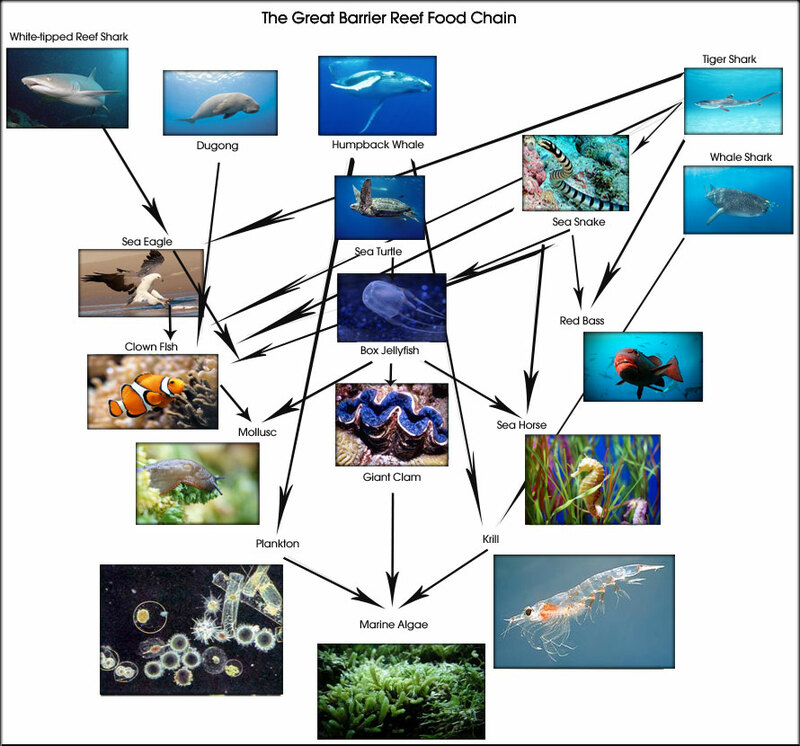 Below is a visual diagram style representation of the food web of the Great Barrier reef featuring some of the core marine animals that can be found in its waters that provides a basic overview, with the arrows pointing in the direction of one animal that eats another.